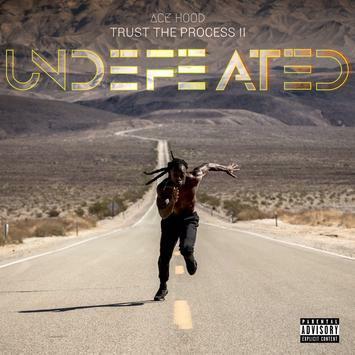 Home>New Songs>Ace Hood Songs> Ace Hood Is In "Beast Mode" On Highlight Off "Undefeated"
Today (May 11th) as he ushers in his 30th birthday, Miami rapper Ace Hood decided that it is indeed better to give than to receive and dropped off an extensive 29-track sequel to last year's Trust the Process project with Trust The Process: Undefeated. While the effort offers up plenty to digest, a skim through delivers on a plethora of strong choices to add to those playlists curated for the gym and turn up alike. One of those happens to be early selection “Beast Mode,” which showcases Ace’s in his most natural form. The cut is paired with an intro that features the interview in which pro baller Marshawn Lynch dissects the tactic that got him the lauded nickname “Beast Mode” as he declares, “Run through a mother-cker’s face. Then, you don’t have to worry about them no more.” ‘Nuff said. Cuban Doll Grabs Lil Yachty & Lil Baby For The "Bankrupt Remix"
SONGS Ace Hood Is In "Beast Mode" On Highlight Off "Undefeated"